When tourists go to Abu Dhabi’s Ferrari World theme park, they usually book a cab for the entire day and leave their driver waiting for them outside. But Liam Murphy decided to do something else. 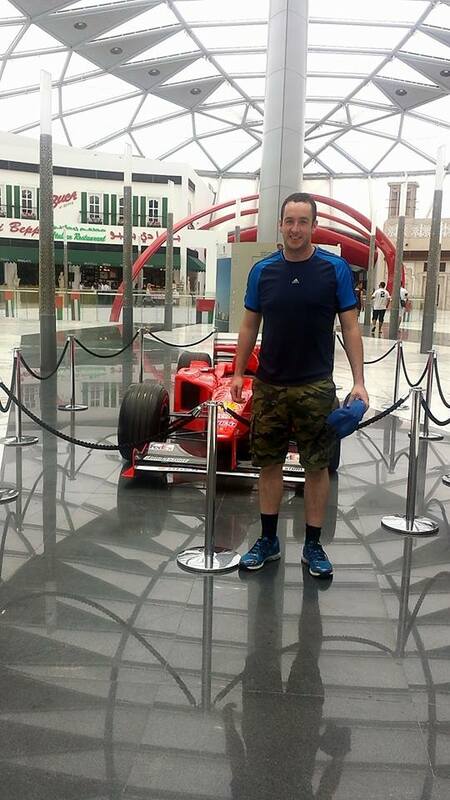 Murphy is a test engineer from Cork, Ireland, and he is currently in the United Arab Emirates for work. On Sunday, he wanted to visit the indoor theme park Ferrari World, and he booked a ride with taxi driver Shakiha. On the way, Murphy found out that Shakiha had been driving tourists to the Ferrari World Theme Park for 14 years, but he had never visited it, and was planning on waiting in the car for four hours. The £44 ticket was too expensive for him, and he was sending as much money as possible to his family in India. Rather than leave the taxi driver outside for hours, Murphy decided to buy him a ticket and they toured the park together. Shakiha had his first roller coaster ride, and he even felt a bit ill.
Murphy said that Shakiha was great entertainment, and that he was delighted with the day out.